The Dexter Cool Blue 8 x 3 in. Perforated Turner was built to be tough and useful. 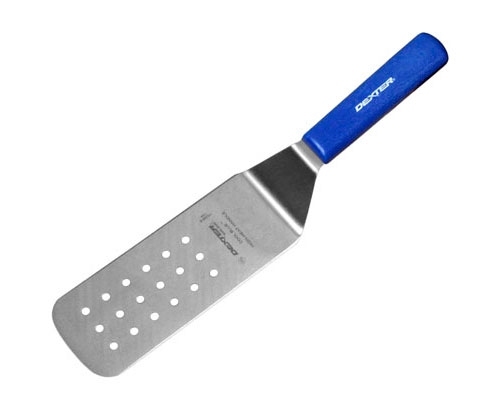 Use this turner to drain grease and other liquids when serving burgers or lasagna. Features a "cool blue handle" that is safe up to 500 degrees Fahrenheit and high carbon stainless steel blade. Made in the USA.